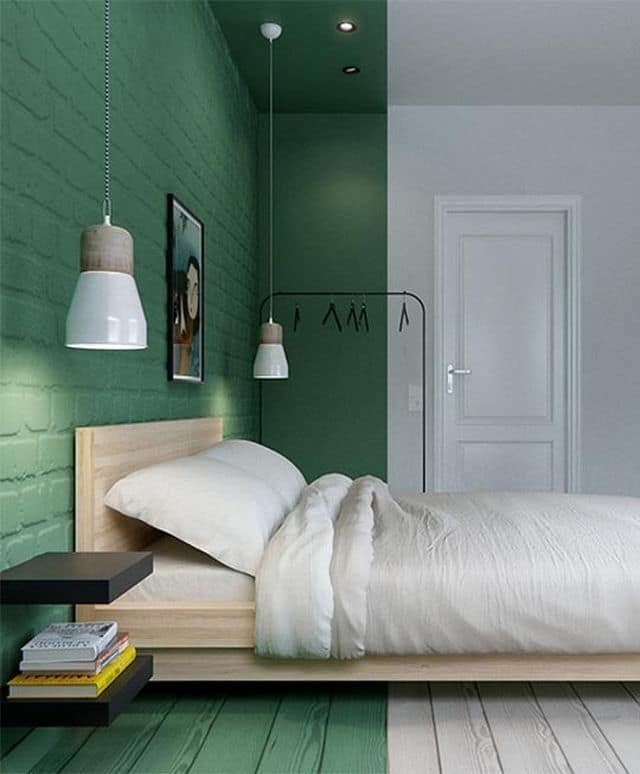 When infusing your interior with the color green, the easiest way to do so is with paint and while the safest thing to do is to paint one accent wall, a far more dramatic choice is to bring that accent wall into its surrounding planes. 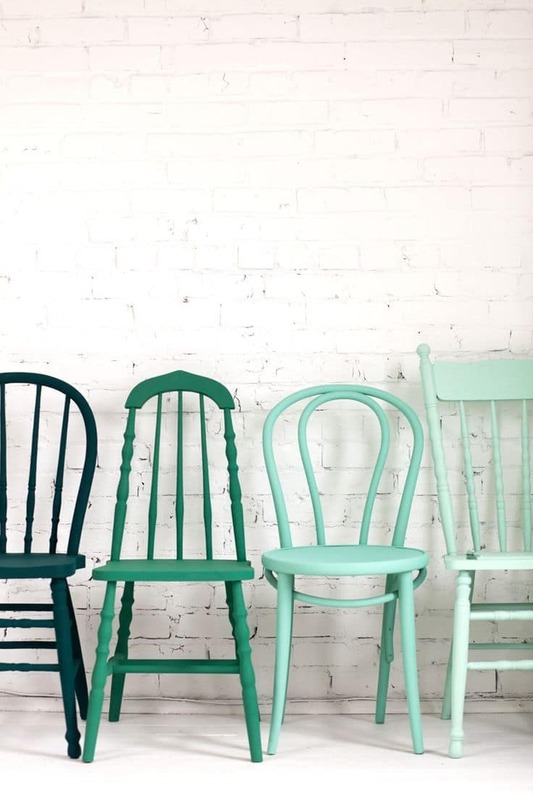 Another way of bringing a green accent wall into its surrounding area is to purchase a piece of furniture in a shade of green you like and then have it color matched at the paint store, and if you are so inclined at the fabric store too. 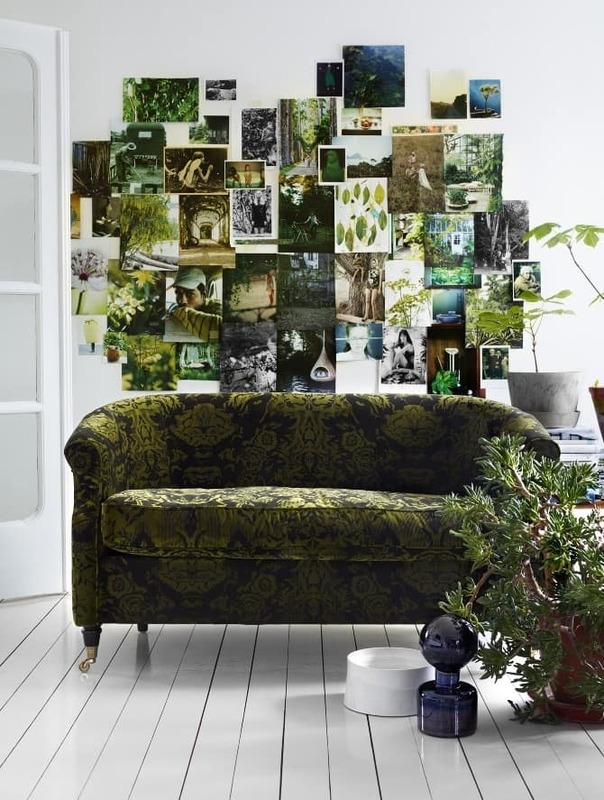 A fun idea is to take several shades of green and work them all into your wall to create velvet aesthetic. It’s easy to do – all you need is some cotton rags bunched up in your hand to move the wet paint around. 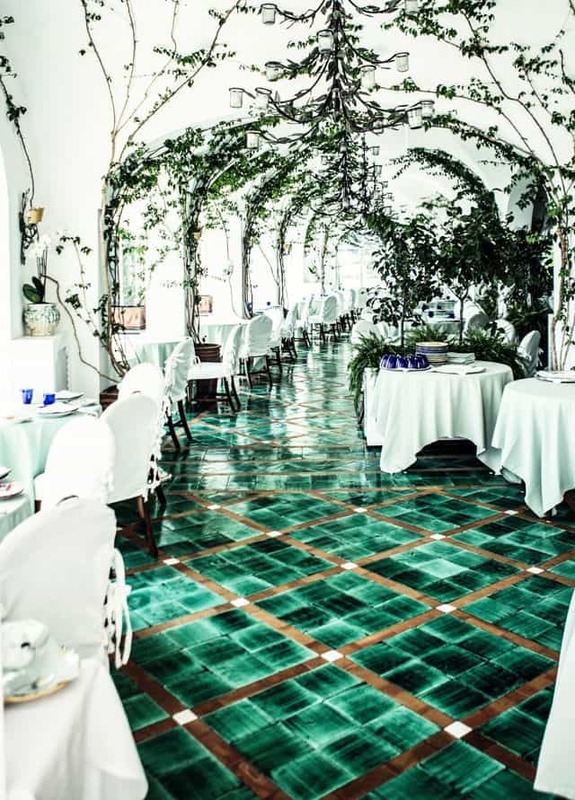 If you love the idea of a monochromatic green scheme then layering in different materials in different shades of green will add interest both visually and viscerally. Aside from tile, moldings can add a great deal of texture to a room and when they’re painted the same color as the walls the shadow play is the star attraction. As a foil to the shadows consider hanging mirrors for the added layer of light refraction. 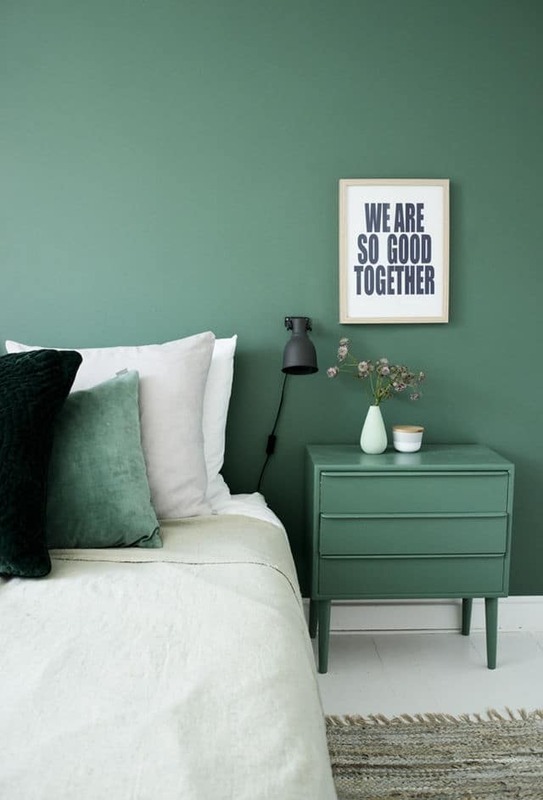 If you love the color green but prefer a neutral palette on your walls, there are so many other ways to inject it into your decor. When using the color in details consider using a whole variety of shades from dark to light – see chairs above. 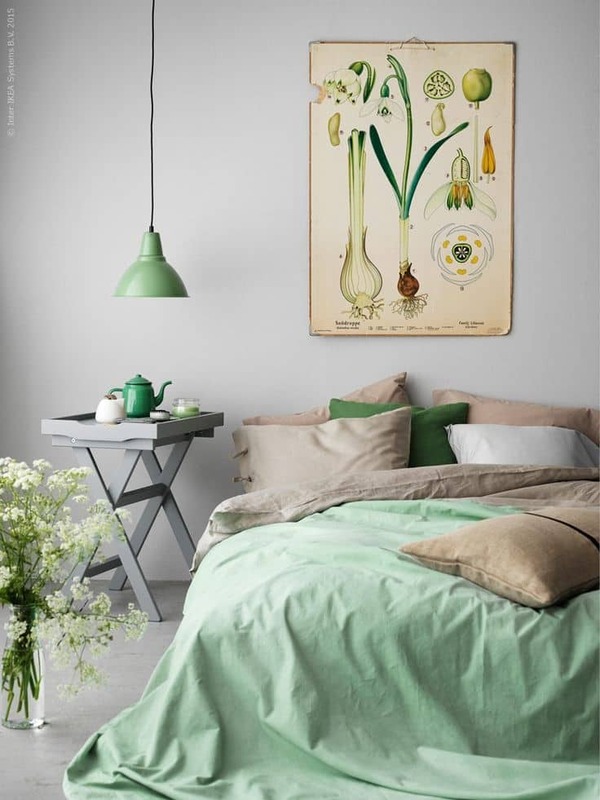 Soft greens go beautifully with greys and beiges, like a warm spring day in the garden. Just as with an accent wall, you can achieve a focal point by creating a vignette of green furniture or a collage of green art on the wall. When choosing your details don’t forget about the ceiling. 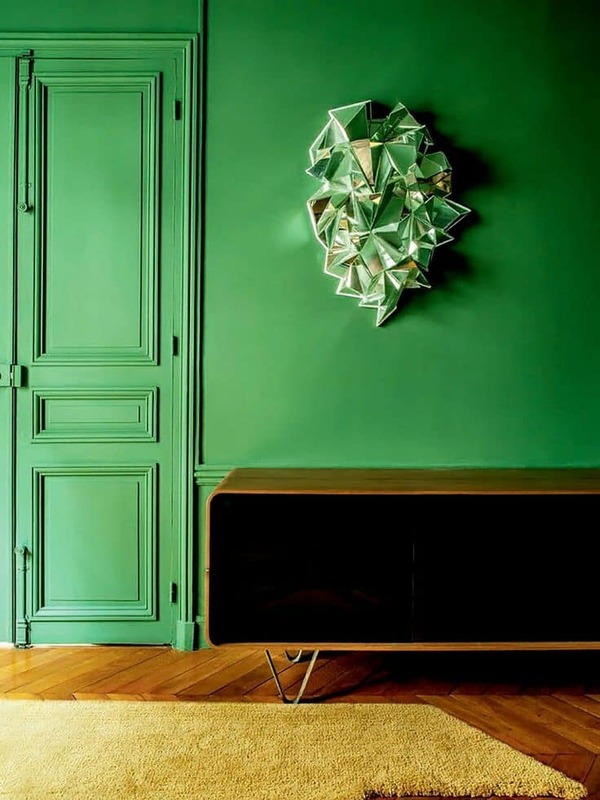 These vintage pendants and their powder coated steel shades take the green drama into the vertical realm. 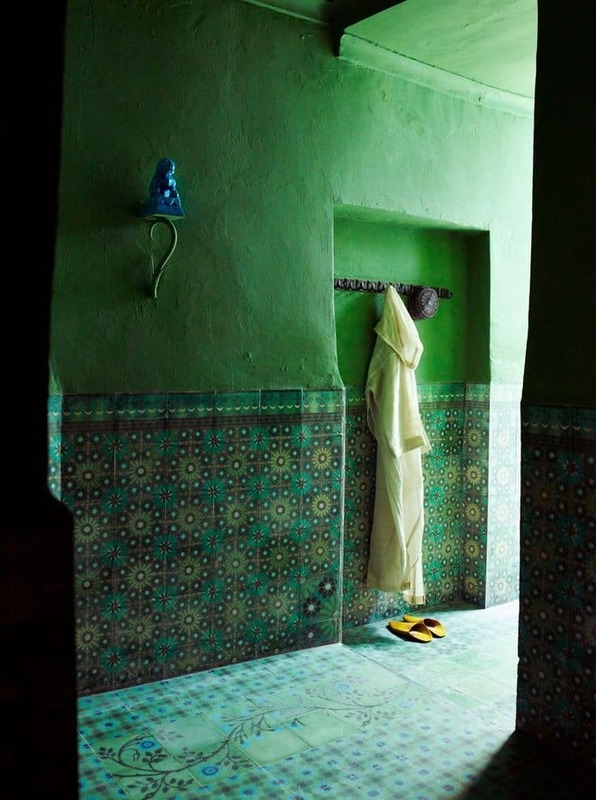 Tiles also offer the opportunity to play with hazy shades, something that is hard to achieve with other materials. It’s all in the glazing – see this vertical pattern above. 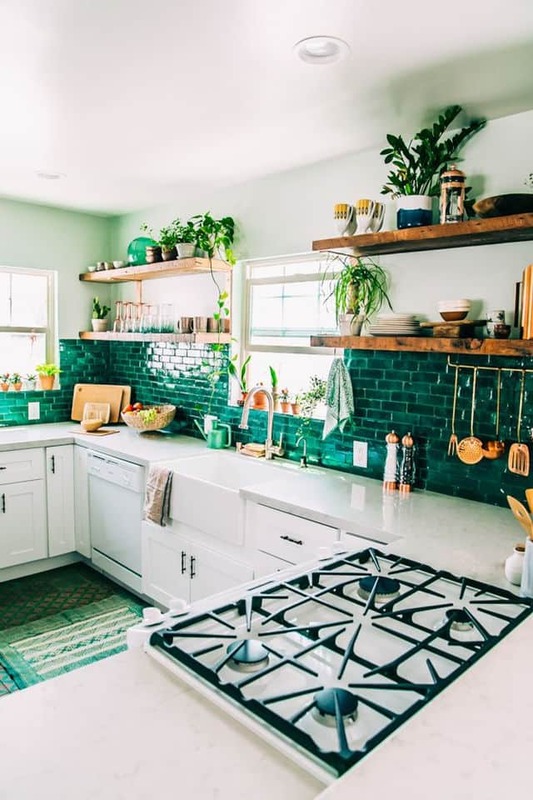 Here a super soft green paint color on the walls, a brilliant green tile on the backsplash and emerald green within the floor pattern create an all over story that comes to life next to the bright white cabinetry. 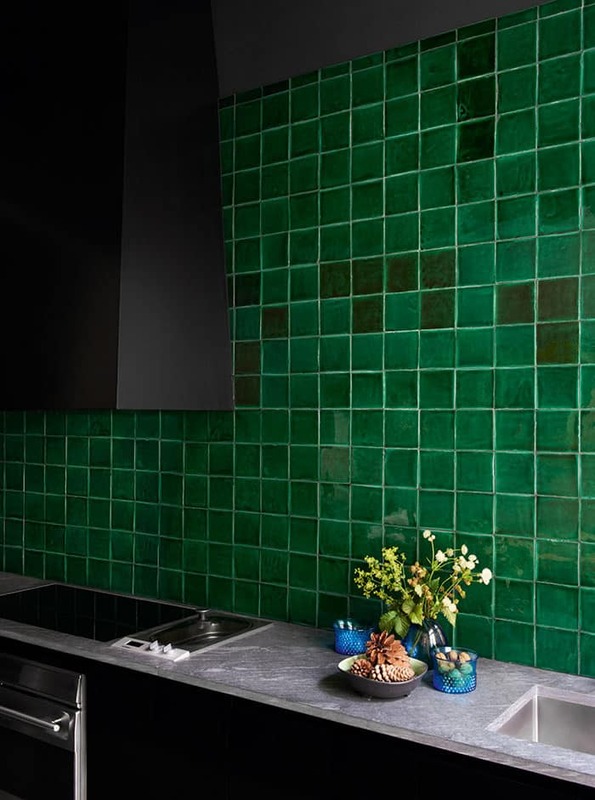 These handmade tiles (above) with their irregular edges, thicknesses and colorations soften the aesthetic of the modern cabinetry while at the same time creating a punch of green drama against an otherwise neutral backdrop. 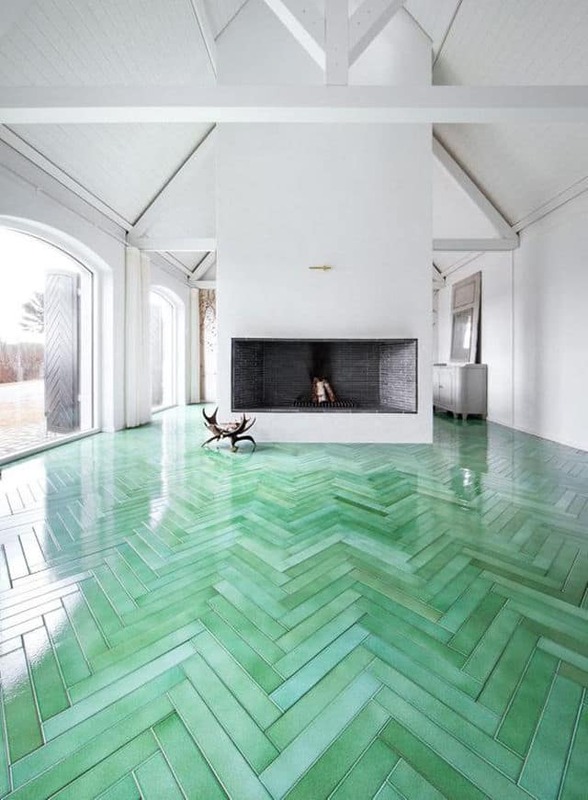 A green floor is like a walk in the park and when its wood look tile it doesn’t matter if you actually have walked in the mud since this faux parquet is so easy to clean. 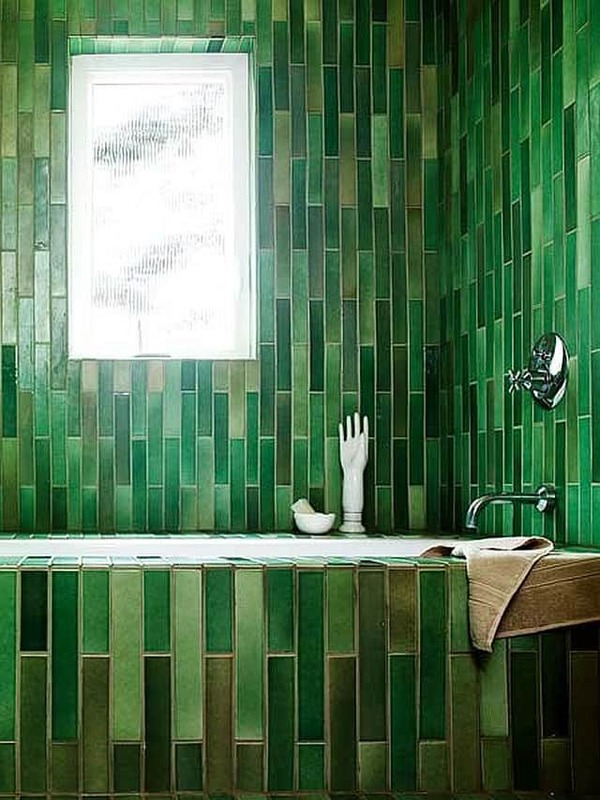 There are so many ways to add the color green to your home and one of them also lets you feature fond memories or wishful thoughts. Photos are always a great way to jazz up a wall whether hung neatly in a geometric arrangement or layered in a collage aesthetic. While you might think it hard to create a photo storyboard in green it is no different than creating a grouping of sepia or black and white images, any color printer or photo studio can give your photos or images a green hue so go ahead and have some fun creating a green photo display. 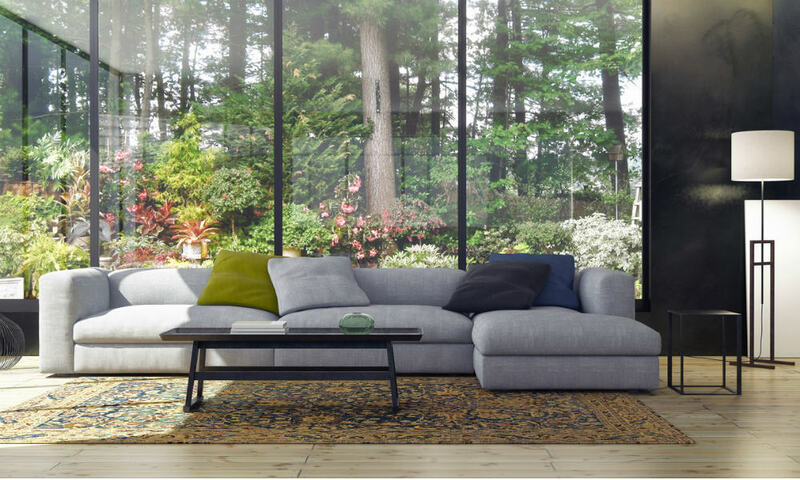 A natural way to add green to your interior design is by having plants either scattered or grouped in your home, usually near a window in a very traditional format or in a more modern vertical wall planting. 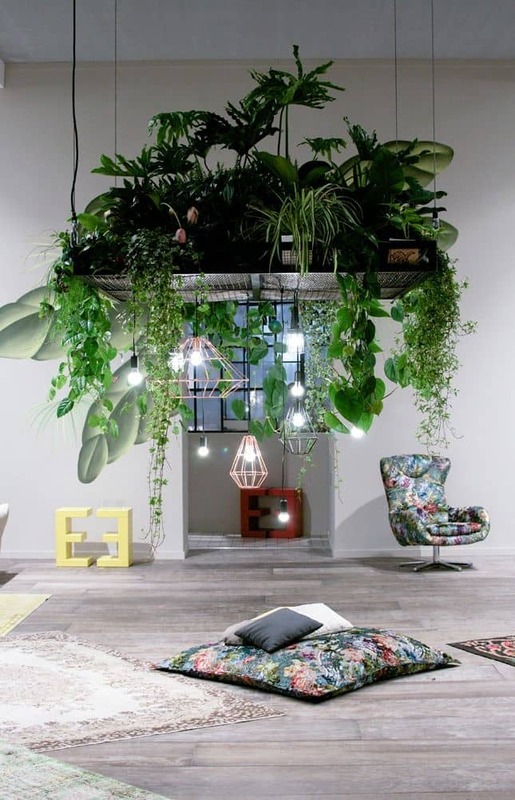 Why not think outside the box and go even higher and suspend your plants from the ceiling? 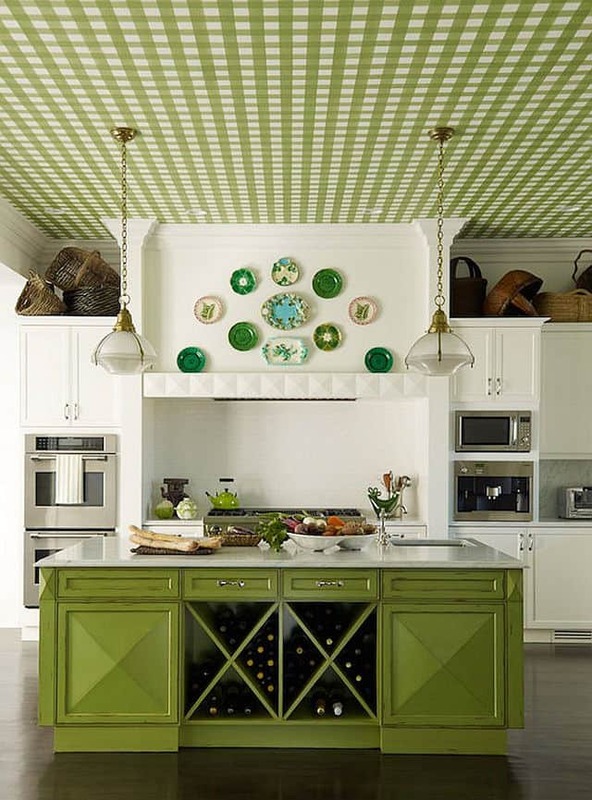 Sometimes the best place to put a color is on the ceiling and if you want that color to be part of a pattern, paint might not be the best option, but then neither is tile.